Route4Me is a route planning software for small businesses and enterprises. It allows users to create, share, and manage optimized routing plans via smartphone apps. In this article, we covered user reviews and pricing. Ready to try Route4Me? Get a free trial. Users who gave Route4Me a positive review commended its routing, voice data entry, and customer management features. They also mentioned that its ease of use allows them to efficiently plan trips and monitor fleets. One user who gave Route4Me a positive review on Capterra said that he can easily manage and organize customer information using the program. He also shared that it helps him optimize delivery routes and troubleshoot potential problems on mileage and fuel economy. Users who gave Route4Me a negative review suggested improvements on its automated invoicing and dispatching functions as they aren’t too intuitive. Some of them complained about its steep pricing. One user who gave Route4Me a negative review on Capterra said that the invoicing feature is difficult to understand which prompts him to work on the tasks manually. He also mentioned that its automated dispatching function should provide more vehicle productivity data. Route4Me offers two subscription plans: Business ($999/month) and Enterprise (customized pricing). The main differences between the plans include the number of users, drivers, and vehicles, as well as access to premium features such as unlimited tracking, advanced route settings, and multiple depot routing. Ready to try Route4Me? Get a free trial. What industries can benefit from Route4Me? Route4Me is specifically designed for the following business types: cable and telecommunications, construction and heavy equipment, distribution, food and beverage, government and public safety, oil, gas, mining, transportation, and utilities. 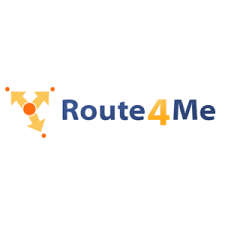 How does Route4Me help users manage different types of routes? Route4Me provides users with support for all routing types: linear-distance, street-level, and time-based. It also gives users insight to visual route timelines, high-resolution maps, distributed team routing, multiple depot routing, and more. Not sure if Route4Me is the right fit for you? Read our reviews of all top fleet management software or check out one of these three Route4Me competitors. I have never had an issue / need for customer service, but the app is user friendly and fun to use!